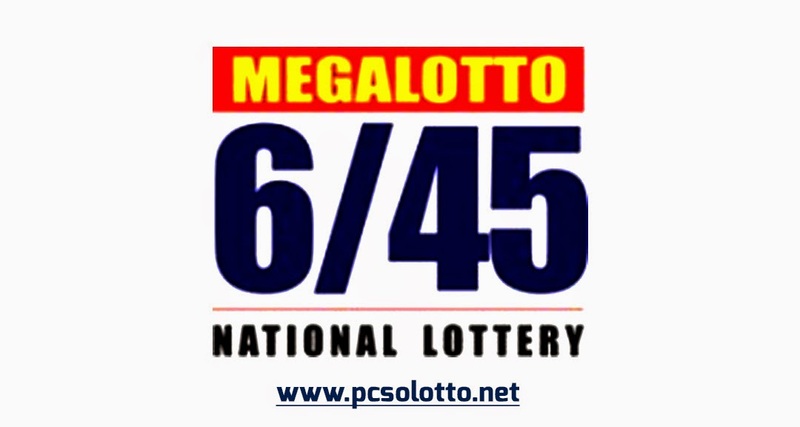 Search Results For " Mega Lotto Result "
MEGA LOTTO 6/45 RESULT April 17, 2019 – Here is the result of Mega Lotto 6/45 draw released by Philippine Charity Sweepstakes Office (PCSO). Above is the official winning number, April 17, 2019 for 6/45 Mega Lotto draw. See also Swertres Result, EZ2 Result, 6/45 MegaLotto Result , 6/55 Grand Lotto Result and 4-Digit Result page. You may also check our mega lotto result history for the past lotto draws. Check out the all pcso lotto schedule for the lotto draws. the most up-to-date and reliable source of PCSO lotto results in the Philippines. This lotto game has draws every Monday, Wednesday, and Friday. You can watch the live draw through YouTube. MEGA LOTTO 6/45 RESULT April 15, 2019 – Here is the result of Mega Lotto 6/45 draw released by Philippine Charity Sweepstakes Office (PCSO). Above is the official winning number, April 15, 2019 for 6/45 Mega Lotto draw. MEGA LOTTO 6/45 RESULT April 12, 2019 – Here is the result of Mega Lotto 6/45 draw released by Philippine Charity Sweepstakes Office (PCSO). Above is the official winning number, April 12, 2019 for 6/45 Mega Lotto draw. MEGA LOTTO 6/45 RESULT April 10, 2019 – Here is the result of Mega Lotto 6/45 draw released by Philippine Charity Sweepstakes Office (PCSO). Above is the official winning number, April 10, 2019 for 6/45 Mega Lotto draw. MEGA LOTTO 6/45 RESULT April 8, 2019 – Here is the result of Mega Lotto 6/45 draw released by Philippine Charity Sweepstakes Office (PCSO). Above is the official winning number, April 8, 2019 for 6/45 Mega Lotto draw. MEGA LOTTO 6/45 RESULT April 5, 2019 – Here is the result of Mega Lotto 6/45 draw released by Philippine Charity Sweepstakes Office (PCSO). Above is the official winning number, April 5, 2019 for 6/45 Mega Lotto draw. See also Swertres Result, EZ2 Result, 6/45 MegaLotto Result , 6/55 Grand Lotto Result, 6/58 Ultra Lotto Result and 4-Digit Result page. MEGA LOTTO 6/45 RESULT April 3, 2019 – Here is the result of Mega Lotto 6/45 draw released by Philippine Charity Sweepstakes Office (PCSO). Above is the official winning number, April 3, 2019 for 6/45 Mega Lotto draw. MEGA LOTTO 6/45 RESULT April 1, 2019 – Here is the result of Mega Lotto 6/45 draw released by Philippine Charity Sweepstakes Office (PCSO). Above is the official winning number, April 1, 2019 for 6/45 Mega Lotto draw. MEGA LOTTO 6/45 RESULT March 29, 2019 – Here is the result of Mega Lotto 6/45 draw released by Philippine Charity Sweepstakes Office (PCSO). Above is the official winning number, March 29 2019 for 6/45 Mega Lotto draw. See also Swertres Result, EZ2 Result, 6/45 MegaLotto Result , 6/58 Ultra Lotto Result and 4-Digit Result page. MEGA LOTTO 6/45 RESULT March 27, 2019 – Here is the result of Mega Lotto 6/45 draw released by Philippine Charity Sweepstakes Office (PCSO). Above is the official winning number, March 27 2019 for 6/45 Mega Lotto draw. MEGA LOTTO 6/45 RESULT March 22, 2019 – Here is the result of Mega Lotto 6/45 draw released by Philippine Charity Sweepstakes Office (PCSO). Above is the official winning number, March 22, 2019 for 6/45 Mega Lotto draw. MEGA LOTTO 6/45 RESULT March 20, 2019 – Here is the result of Mega Lotto 6/45 draw released by Philippine Charity Sweepstakes Office (PCSO). Above is the official winning number, March 20, 2019 for 6/45 Mega Lotto draw.